Look! 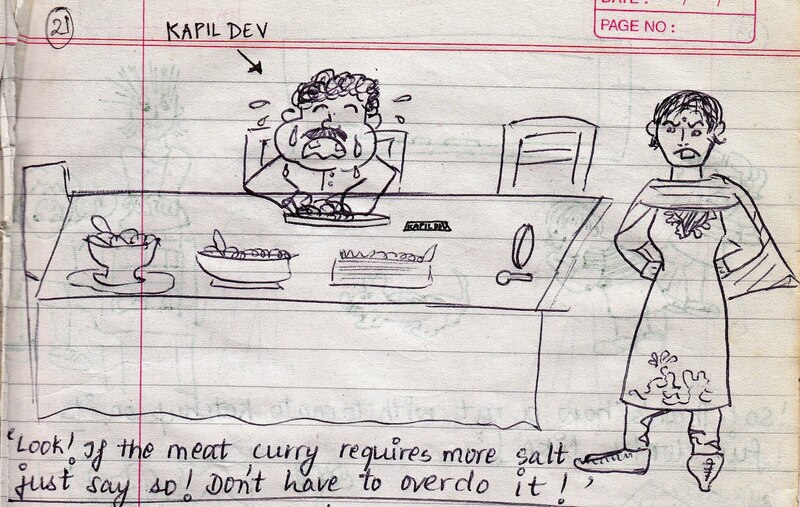 If the meat curry requires more salt just say so! Dont have to overdo it! THIS GAG IS IN REFERENCE TO KAPIL DEV'S INFAMOUS TEARFUL INTERVIEW IN 2000 WHEN HE HAD BEEN ACCUSED OF MATCH-FIXING. 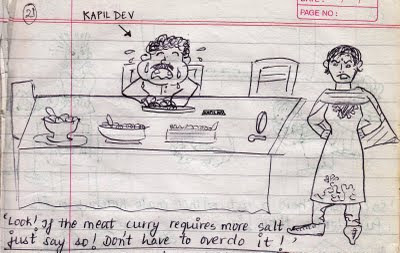 HIS WIFE, ROMY DEV LATER STATED THAT HE WAS WEEPING COPIOUSLY INTO THE MEAT CURRY AT THE DINNER TABLE.